There are always one or two people that you need gifts for, but, they seem to already have everything you can think of. Why not get them something that is fun and unique and comes in many different varieties. What is that you ask? It would be popcorn, which comes in so many different varieties. Who does not like some sort of popcorn? I know that I like popcorn while watching a movie, a sports event, or just hanging out with my friends. 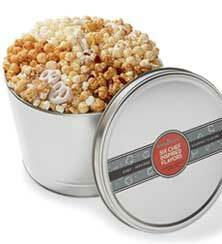 The Pop Corn Factory offers many different styles of gourmet popcorn to fit every ones likes. 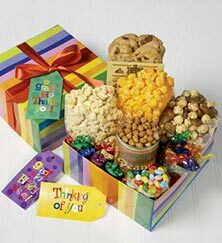 They offer different many flavors of popcorn from almond pecan flavored to chocolate. The list of flavors goes on and on. Sounds yummy. The offerings of popcorn gifts are vast and very different. 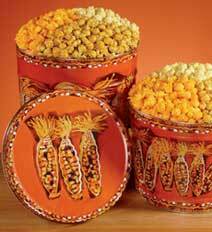 If you are looking for a popcorn gift for a particular holiday gift, a thank you gift, or even just a gift. The Popcorn Factory is the place you need to take a look at.